Welcome back to Calypso Island! Last week, Lily took her first steps in the political career. Task of the week: get that water running and the electricity flowing. She worked closely together with Kevin Morgan, whose years at his parents' farm gave him a keen insight into mechanics. They thought up a plan and became close friends. And even more than that. But although Kevin proposed to her, he was not yet ready to settle down. Lily raged and they were a bit wobbly for a while. However, their relationship seemed to be on the mend. 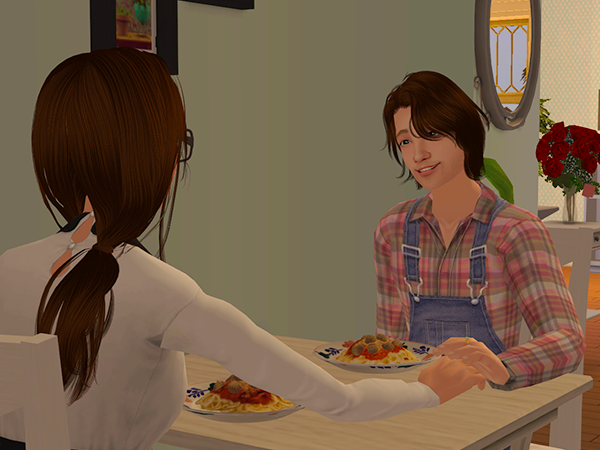 When she came back from work, Lily called Kevin. He had promised her to start on water and electricity by this week and she was really dying to get a shower. The tub was nice, but sometimes a sim just wants a nice shower. Kevin came over and installed just about everything. There was a sink in the kitchen, a shower in the bedroom and she had electricity for the first time in weeks. 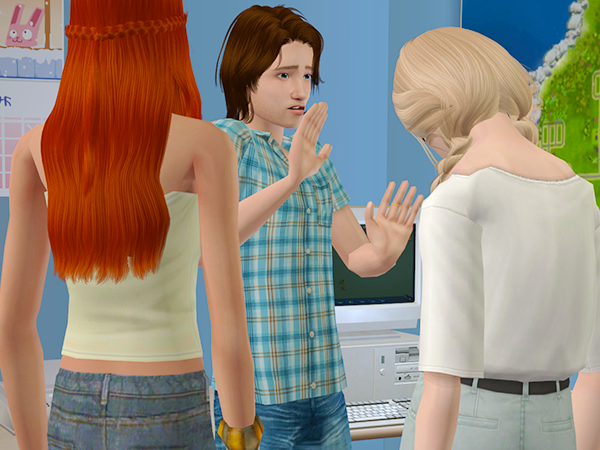 Kevin didn't say much though and Lily cautiously approached him while he was washing his hands. "Sure, what do you want to talk about?" "Well, I really like you," Lily began, "and I think we could have a lot of fun together. I've been thinking and I thought, well, the farm is a lot of work afterall..."
"I mean, I'm willing to wait. It's okay." Kevin didn't say much after that either. But Lily was pretty sure she'd just made him really happy. Something that was confirmed when she came home from work the next day. 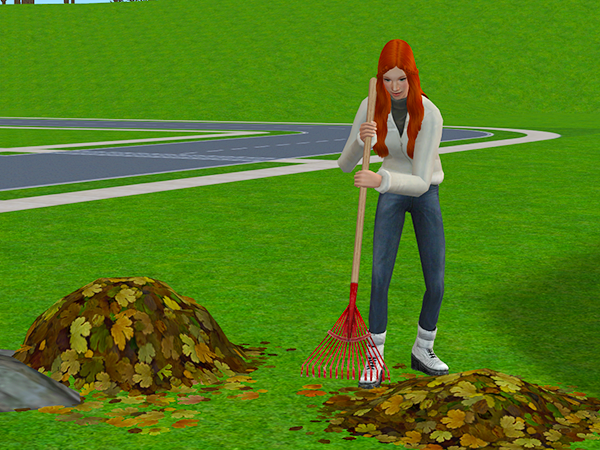 and even did her small part in making the islands a nicer place in general. Kevin came by almost every evening. They had dinner together and usually watched a movie. Lily told herself they were taking it slow. But somehow they always ended up in her bedroom. The next morning Lily woke up really nauscious. Maybe she should stop eating that canned food and try to get her hands on some fresh food for a change? But it turned out not to be the spaghetti after all. 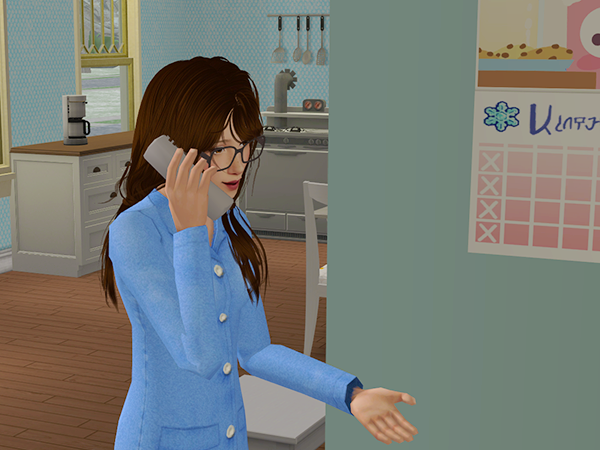 On the evening before her due date, Lily received a phone call from Terri. "What? Both of you? You're not turning this into some huge event, are you?" The next morning, Terri brought Kevin over. "You don't have to worry about a thing, sweetie. We'll make you comfortable until the baby gets here." And so Lily spend the last day of her pregnancy napping and generally getting comfortable. 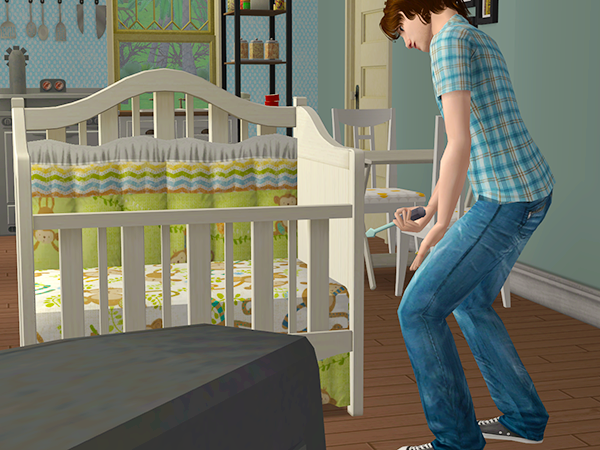 Kevin spend his time building the baby a crib. 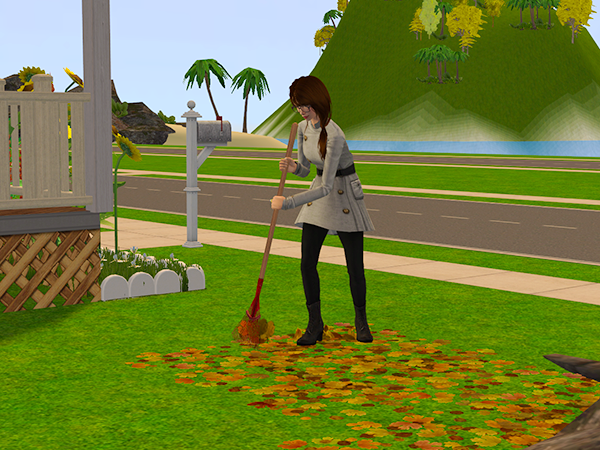 And Terri did some chores around the house. 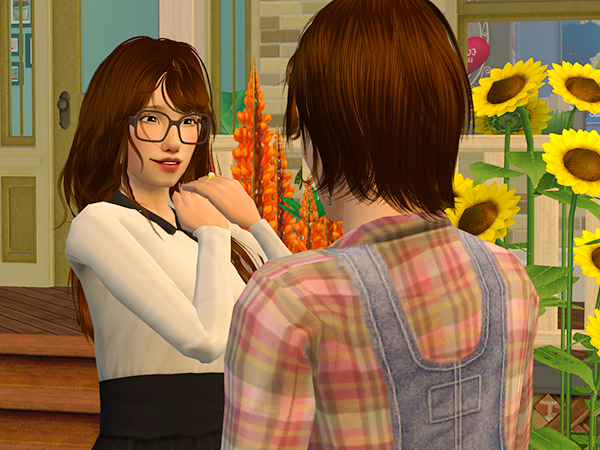 Summer came by to check on Lily too. 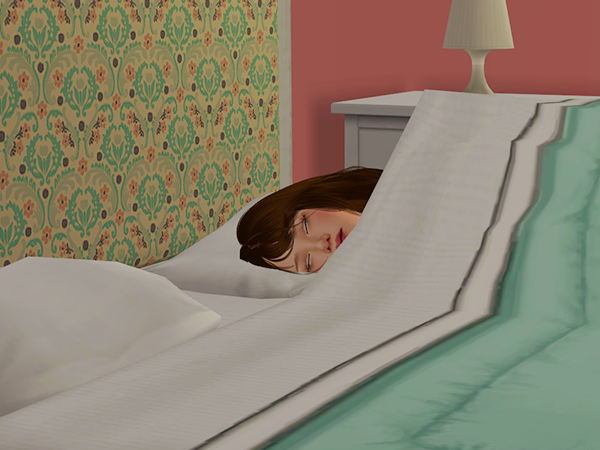 "She's resting, but she's doing fine." "How long until the baby comes?" "I don't know, could be any minute now." Kevin walked up to Summer. "Hey Summer! I just wanted to say, I think you're handling the situation really well!" 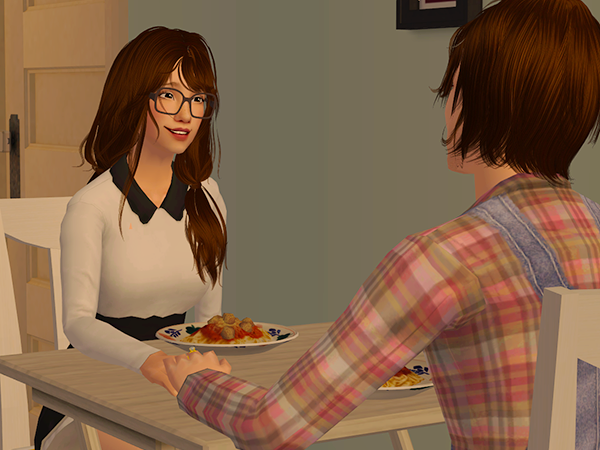 "Well, since we all thought you and Remi would be the first to have kids here..."
"Yeah, thanks for reminding me." "Geez, Kevin! You complete arse! Look what you did." "Oh Summer, I'm sorry! I didn't mean to make you cry. I'll... go check on Lily." 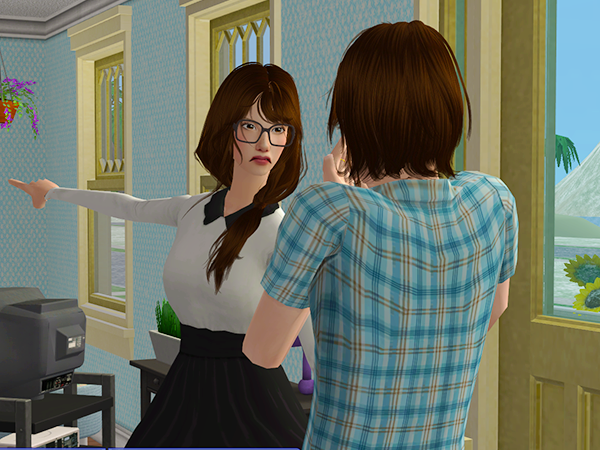 Terri quickly tried to take Summer's mind of things by showing her a new TV show. Later that evening, Kevin tried to give Summer another compliment. "Listen, I know I messed it up earlier. 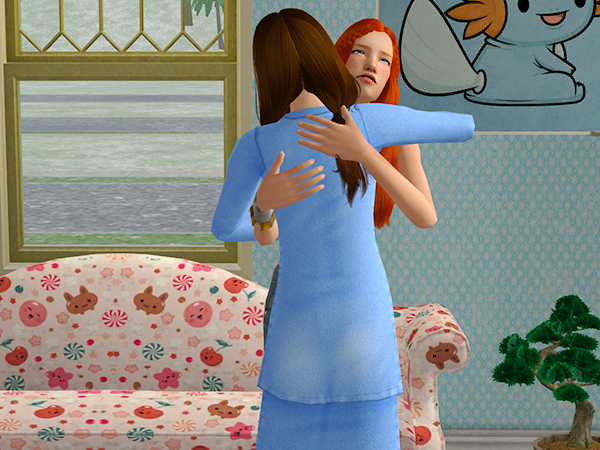 What I meant was, I think you're really strong, being here for Lily while you're obviously heartbroken. I think you're being a great friend to Lily. She really appreciates it." "Thanks Kevin. That's really sweet of you." Kevin pulled her in for a hug. As she rested her head against his shoulder, he heard a soft sob. "Oh, Summer I'm so sorry! I made you cry again!" It wasn't supposed to happen and looking back, Kevin never knew why he did it. But he pressed his lips softly on hers. In the bedroom, Lily watched the snow falling thick and fast, covering the trees and the roads. She hurried over to the living room. "You better get going Summer. Soon it will be too dangerous to travel. thank you so much for dropping by!" Not long after that, Lily went into labor. On the first night of winter, Lily gave birth to a little baby boy. She named him Kieran. The next morning, after Terri and Kevin had gone home to get some sleep, Lily's phone rang. "Why are you crying? What did Remi do now?" "Slow down, you're making no sense." "No dear, you're not just like him." "Why on earth would you be even worse?" Trembling, Lily hang up the phone. It couldn't be true, it just couldn't be. Slowly she picked up the phone again and dialed Kevin's number. 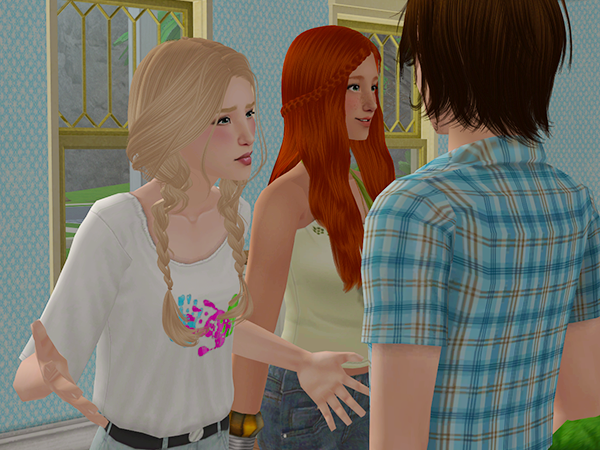 "Summer told me you two kissed." "So it's TRUE?! I can't believe you!" "Now hold on. I never planned this, it just happened! It was a one time thing Lily." "All this talk about you wanting to wait, when you just meant you wanted to check out the other girls too! Did you kiss Terri too?" "Get out! I'm done with you!" That evening, Lily threw out the roses and the gifts. "Don't you worry little one. We'll be okay together." But breaking up with Kevin did mean one other problem. Lily had been counting on Kevin to look after Kieran when she was at work. So the next morning, she called the only person she could always count on. 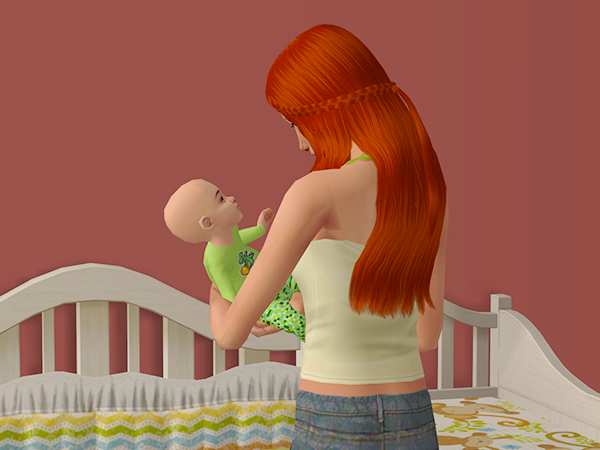 Terri was more than happy to look after little Kieran. "Thanks Terr, I wouldn't know what to do without you." Oh, come on Kevin! 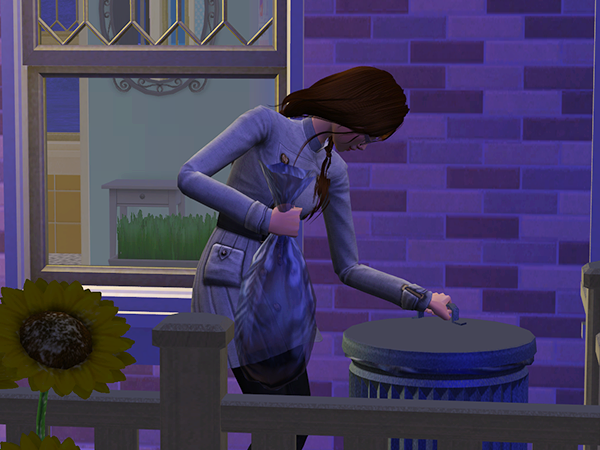 I was predicting a calm and happy family-life for Lily and Kevin and then... BAM! 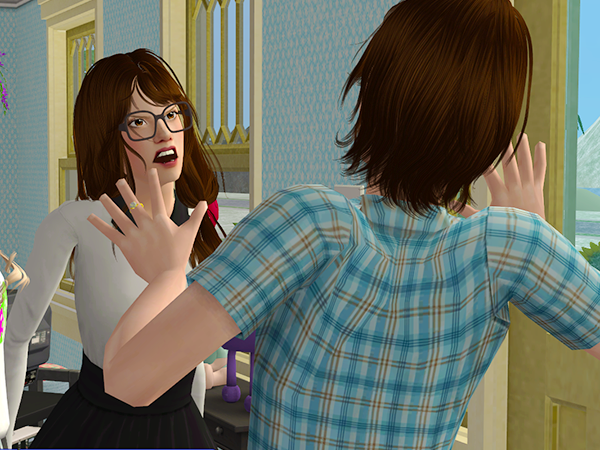 He cheats without any reasons and destroys his relationship with Lily. Congratulations, you're the silliest in town! 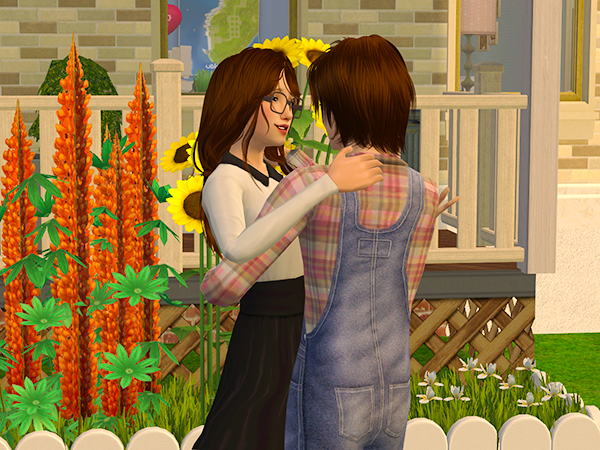 It's just... so much drama in every update and I don't know if I must hate it because drama means problems and I don't want sims to have problems, or love it because it makes this story more interesting than a fusion between Once Upon a Time and The Walking Dead! Hahaha, thanks! <3 I'm really curious about toddler Keiran too! Bad Kevin! Bad, bad, bad! And shame on Summer! Although, I suppose I can forgive her since she was honest. A plague upon both their houses! 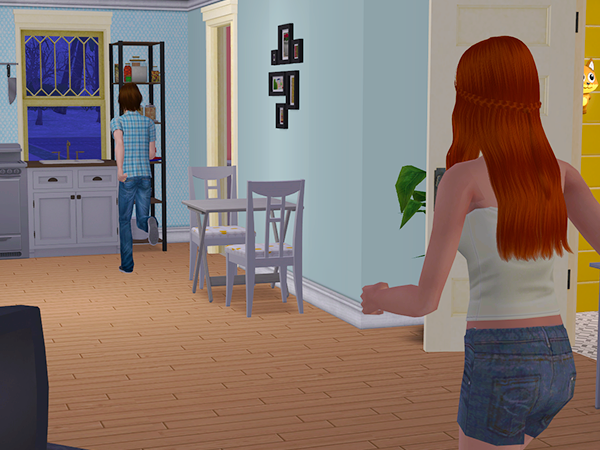 Lily doesn't blame Summer, her furious-ness with her vanished pretty fast. Kevin is a whole other story though. 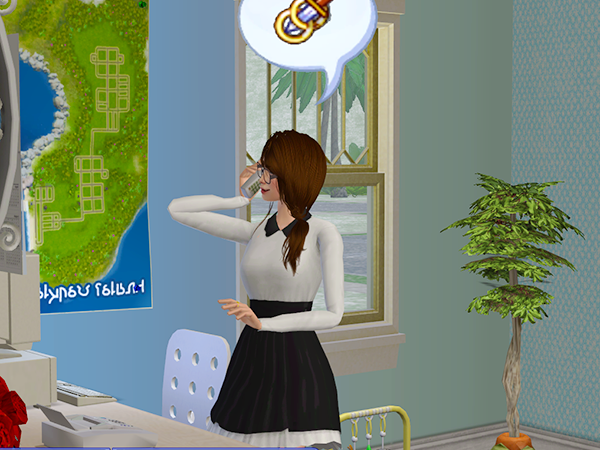 Well, that's one thing -_- Silly sims, ruining my plans and stuff. He was wrong to kiss Summer, but I feel kind of bad for Kevin. He seems really confused. Is Lily going to let him spend time with his son? Is he in love with Summer now?